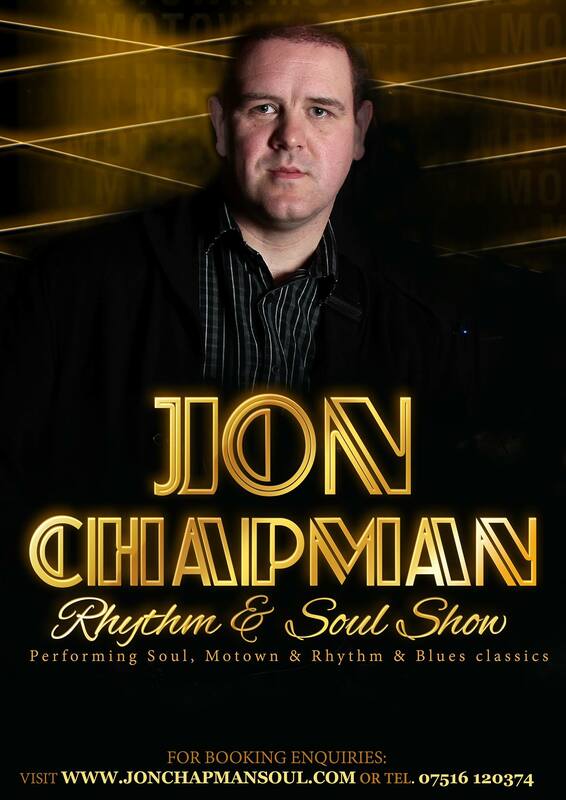 Jon Chapman’s performs a Rhythm & Soul show either will full band or as a solo performance (with backing tracks). Top quality, musical entertainment for Weddings, Functions, Festivals and Corporate events. 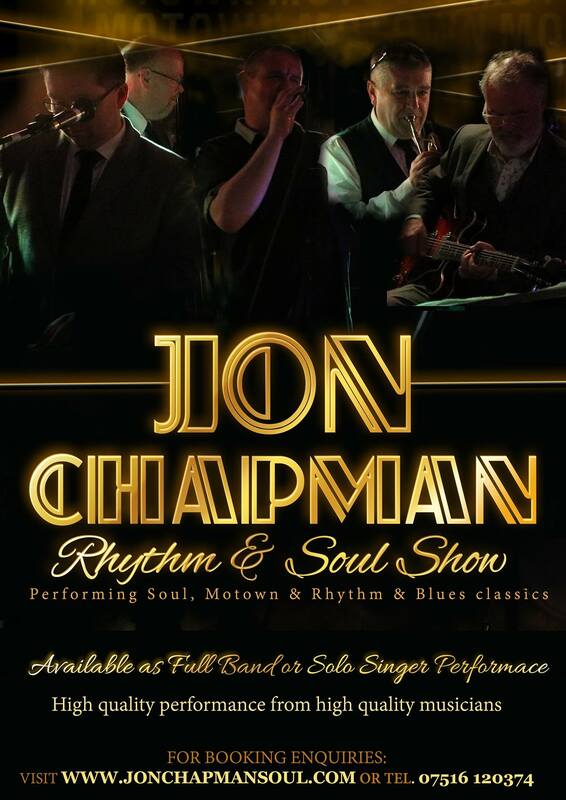 The band is made up of high quality, highly experienced, professional musicians who are guaranteed to get your guests dancing the night away.